First Baptist Church in Norfolk, Virginia originated when early worshipers grew tired of crossing the Elizabeth River to join with Court Street Baptist Church in Portsmouth, Virginia for worship services. They petitioned the Virginia Portsmouth Association for permission to hold services on the north side of the river. 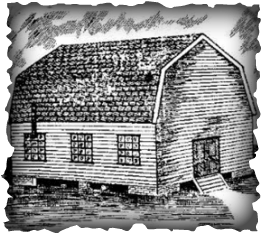 Organized in July, 1800 by Elder David Biggs and Thomas Everridge, First Baptist became an interracial, inter-class congregation of Baptists worshiping in a house on lower Cumberland Street. For 16 years its' membership was composed of whites, free Negros and slaves coming from Europe, Africa, the West Indies in addition to America's Eastern Seaboard Indians. 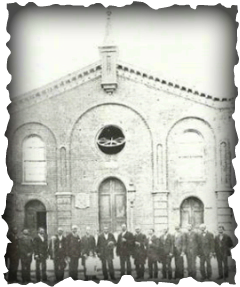 From humble beginnings in 1800 the Baptists of Norfolk continued to increase in numbers until 1805 when they began worshiping in the Borough Church, which is now known as Old St. Paul's Episcopal Church. The Borough church at the time had been practically abandoned by the Episcopalians. By 1815 the total membership of First Baptist Church was reported to be 278. In 1817 about 25 white members withdrew for the purpose of forming a church comprised of whites only. The new church was named Cumberland Street Baptist Church and is now known as First Baptist Church of Norfolk located on Kempsville Road. The original congregation continued to worship in the Borough Church which remained interracial until 1848. It ceased to be interracial when denominational and social pressures became too great for the membership to successfully withstand. From 1851 to 1900 the church struggled for its very existence. 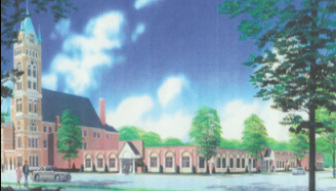 The church became involved in developing schools such as the Virginia Seminary and College, organizing the Virginia Baptist State Convention, and building a new edifice which is still in use to this day. The doors of the church have never been closed to any race, class or previous condition of servitude. Having been led by several ministers of different races, the church continues to serve as a solid religious institution, meeting the spiritual, educational and social needs of the community. The tradition and legacy of First Baptist Church of Norfolk, Bute St. continues today.